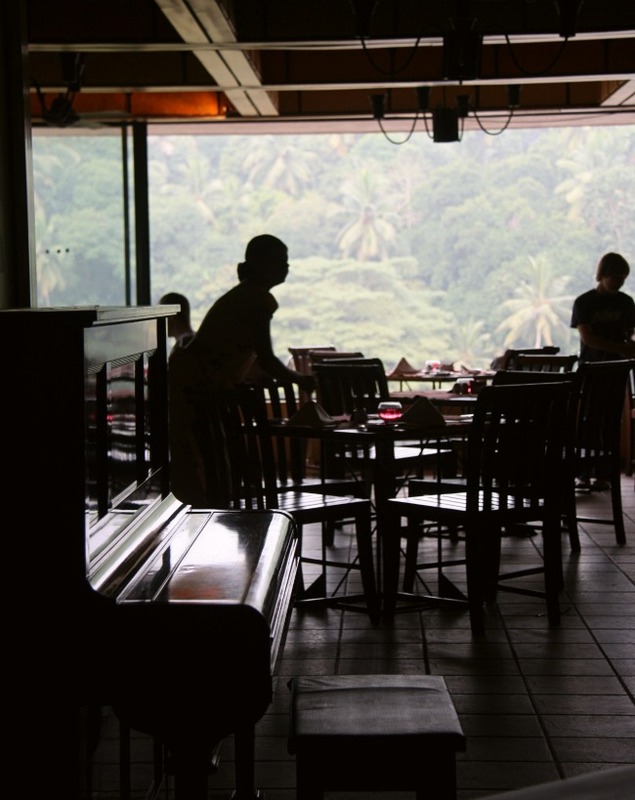 There was a lady who played the piano around dinner time, at the Chaaya Citadel Hotel in Kandy. Her fingers ran over those keys like she did'nt even have to think which keys to hit, and she created absolute bliss. Very simple music that was whipping up a storm. I tried taking photographs, but she kept swaying in the trip that was her music, and everything wound out being blurry. Couldn't blame her though. She smiled at us as she saw me taking a video of her performance.We returned for breakfast, but she wasn't around. This beautiful piano was all that stood there to remind us of that night - the one with the Piano lady.